The winner of the last Great Wednesday Compare ( Island of the Blue Dolphins vs. Bridge to Terabithia), with a final score of 7-6 was Island of the Blue Dolphins. The first tie-breaker to come my way in a while! For those unfamiliar with the rules, I don't normally cast a vote except in the event of a tie. O'Dell fans should take not gloat too heavily over my choice-- I simply haven't read Bridge to Terabithia yet. But the fact that I was compelled to read Island of the Blue Dolphins and not the other should count for something (though I agree with Nicola's assertion last week that it didn't deserve to beat Robinson Crusoe). Anyway, sorry about the brief interruption to the Great Wednesday Compares. To make it up to you, there'll be another round next week, instead of in the usual 2 weeks. Remember, vote simply by adding your comment below, base it on whatever merit you choose, voting does not end until Tuesday at 11:59 p.m. (Sept 1, 2009), and if you want your book to get more votes, feel free to promote them here or on your blog! Once again, I have read neither book. I am going to have to regretfully decline. I can't even think up a better excuse. Definitely Gone with the Wind! It's a great epic. Very long but never boring, and I want to read it again (while I have no compulsion to reread Island of the Blue Dolphins). I didn't like Island of the Blue Dolphins enough to vote for it, and GWTW is so famous, it is known by its initials. I won't think about it now; I'll think about it tomorrow...no, I'm joking: GWTW all the way! Oooo... this is a tough one! 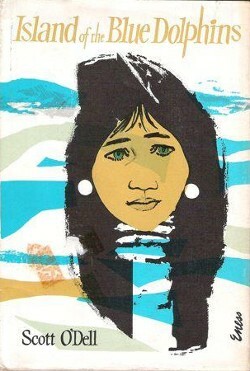 I think I still have to go with Island of the Blue Dolphins though. This was a childhood favourite for me. It's going to take a lot to get me to vote otherwise! GWTW, Baby!!! I was only about 12 when I read it but oh how I loved that book. Just looking at a copy brings back the memory of reading it! 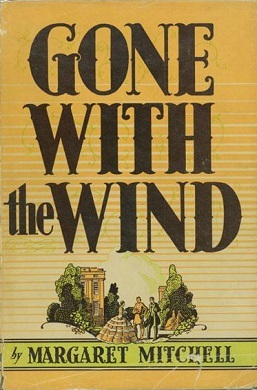 Gone with the Wind! I was named partly for the longsuffering, cowed, meek Melanie Wilkes... no wait, maybe I should change my vote... oh well, GWTW it is! GWTW all the way! It's a favorite. I vote for Island of the Blue... its shorter. Hmmm, gotta stick with a winner. My vote for this smack down does to Island of the Blue Dolphins again.